Experience level. Intermediate. 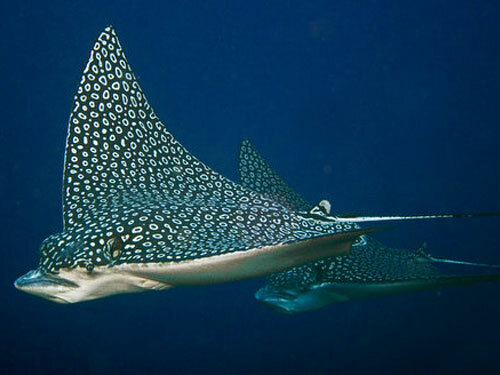 You should go for this Cozumel Underwater Diving with an experienced dive company and dive master for this dive, such as Anita Divers with Tony Perez, as it is a dangerous area with sometimes high currents, and also sometimes a down current. There is a danger of being lost at sea, as there are not many boats in this area. 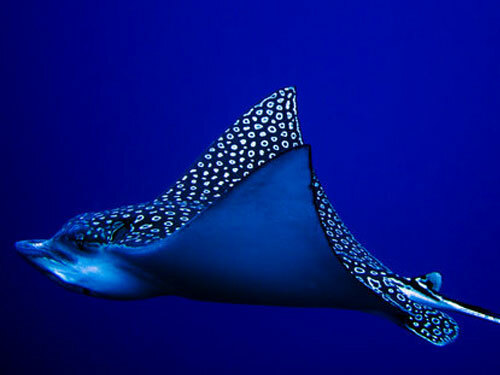 The drop is important in order to not scare the Spotted Eagle Rays and to arrive at the right notch in the wall. The wall should be approached from the shallows. You will stay on the edge of the wall for about 30 minutes. If you use nitrox, you can stay about 15 minutes longer, before heading for the shallows to degas. 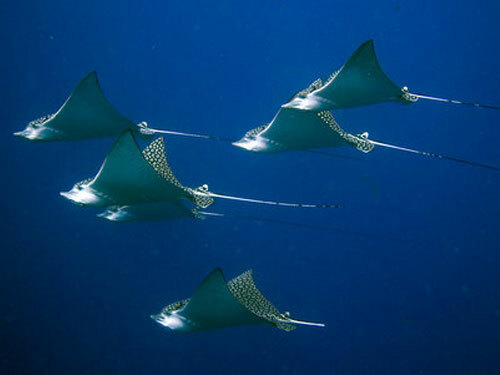 The young Spotted Eagle Ray females start to promenade in December and stay until the end of February. 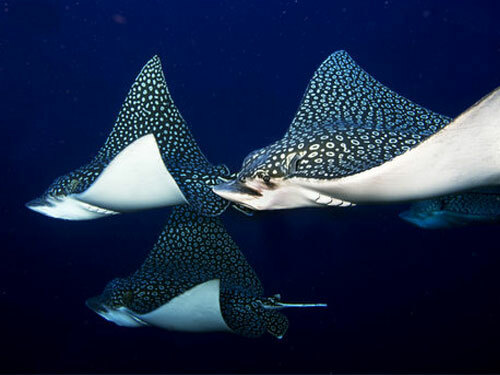 As many as 20 rays will swim by the wall at about 80', although sometimes they are lower and sometimes up higher. The divers will hold onto the dead coral on the wall and just watch the parade. There are some interesting fish in the shallows, dominated by juvenile fish of all kinds, razor fish, an occasional moray eel, and lots of lion fish. Keep an eye out for sea horses and juvenile file fish.